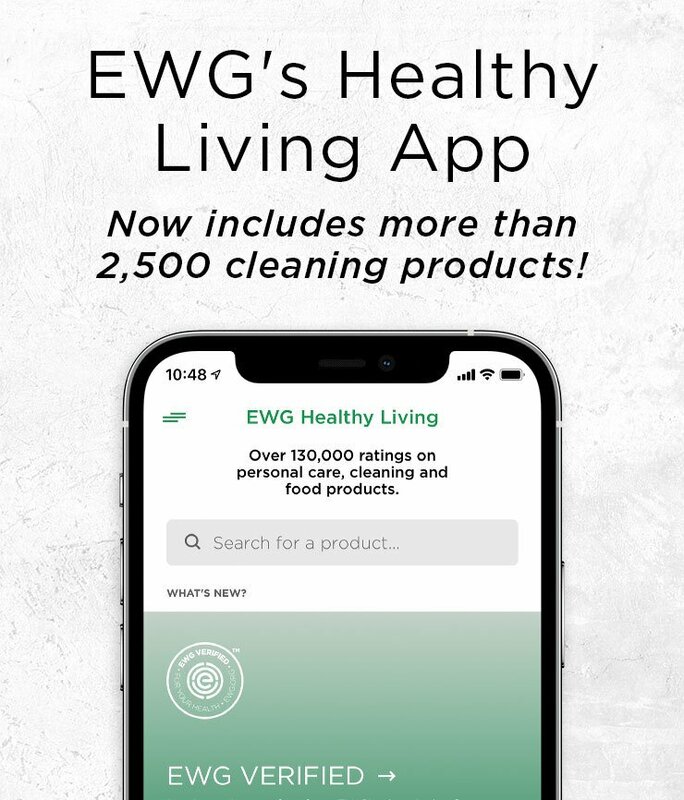 You shop for fruit and veggies with the EWG Dirty Dozen and Clean Fifteen lists and use only EWG VERIFIED™ mascara. Yet when the time comes to shower your kids with holiday gifts that are good for people and the environment, how do you know the presents you buy don’t contain lead, fire retardants, phthalates or other harmful materials? Here are our suggestions for 11 gifts that will both delight them and give you peace of mind. Healthy soda. It’s a rare child who doesn’t love soda, but there’s nothing healthy about a glass full of sugar. Give your child a soda maker instead, and let him or her experiment using mint, lavender, lemon or cucumber slices, or maybe some crushed berries. They’re far healthier than so-called natural flavorings. Children will have fun concocting a signature “cocktail” – and avoid the lure of less healthy drinks. Wooden rattle or toy. It often comes as a surprise, but toys made with a host of toxic materials are sold legally in this country. Phthalates, BPA, PVC, fire retardants and lead can commonly be found in brand-name toys. Instead, look for toys made of wood, bamboo, hemp or cotton, preferably organic. As for the cute circus set you’ve held onto since childhood to give to your kids? It’s not a great choice. Older heirloom toys may have been colored with lead-based paint, so look for toys with finishes made from natural oils and beeswax. Sweet treats. There’s a long tradition of giving children candy during the holidays. Organic and honey-sweetened treats, like those in our Food Scores app, will appeal to kids if they come in a novel shape or flavor like guajillo chili, spiked eggnog or gingerbread. Or look for something made with nuts or seeds for a protein boost. Reusable water bottles. This is the perfect gift for an active kid. Fill it with small treats and toys to make it even more fun to unwrap. EWG recommends stainless steel containers that are BPA free, unlike many plastic bottles. Reusable lunch bag. Environmentally friendly lunch bags, sandwich wraps and bento boxes come in a huge variety of fun colors and patterns. Pick out a set in your kid’s favorite color, and then personalize it with matching stickers (or let your child do it). The best lunch bags are made from non-toxic materials like cotton, hemp and wool. Stainless steel lunch boxes and utensils won’t the leach the chemicals like disposable plastic products do. A plant. It’s never too early to teach children how to take care of a living thing. If your family’s not up for a pet just yet, or you want to give your kids something of their own to nurture, how about a plant? Whether it’s a miniature tree, terrarium or fairy garden, chances are good your young one will love the small scale and whimsy involved. Plus, research going back to a 1980s NASA study shows that indoor plants have a positive effect on indoor air quality and even on emotional health and well being. You can purchase this type of gift, present a DIY’d version or simply purchase the materials and make putting it together part of the fun. Clean cosmetics. If your teen or preteen wants eye shadow or lip gloss, but you want to skip the harmful chemicals that personal care products – even those marketed to kids – often include, rest easy. Our Skin Deep® cosmetics database lists many products you can feel good about giving. Our EWG VERIFIED™ products have been formulated to the strictest ingredient standards, so while you’re at it, you may also want to shop for stocking stuffers, too, like bubble bath, bath salts or a trendy sheet mask. Pajamas. Holiday pajamas are such a fun family tradition. But kids PJs (sizes 9 months to 14 years) that aren’t “snug fitting” are required by law to be flame resistant, often using harmful chemicals. To avoid this, you can either buy snug-fitting cotton PJs not treated with flame retardants (labeled with a yellow hang tag) or polyester PJs from manufacturers that don’t add chemical flame retardants. These PJs, for instance, are not treated with flame retardants. Headphones (or earbuds) with a microphone. EWG recommends that everyone – children, teens and adults – use speakerphone or headphones when making cell calls to minimize exposure to cellphone radiation. If there’s a phone in your kid’s pocket – or you’re planning to give one to him or her this holiday season – make sure to include a pair of earbuds with a mic in the cord. You can easily find inexpensive options, probably even at the corner store. Ceramic waffle maker. Until recently, if you wanted a waffle maker without toxic non-stick coating (like Teflon and the family of PFOA chemicals) your only option was a heavy cast-iron camping waffle iron – not the easiest thing for a regular Sunday morning at home. Now you can get electric waffle makers with ceramic coating instead, some boasting a non-PFOA finish. EWG researchers have not tested or researched the coating on these products and cannot verify their claims to be healthier or free of PFOA. But if your kids have been begging for homemade waffles, or you’ve tried a camping waffle maker in the past, these new ceramic options might be worth looking into. Lots of holiday purchases – whether for gifts, food or decorations – mean lots of receipts. If you’ll be doing your holiday shopping in stores, consider foregoing the paper receipt and choosing an electronic receipt whenever possible. The thermal paper used for receipts and some other types of paper products may contain high levels of BPA or a BPA-substitute chemical. Plus, if you get your receipts emailed to you, you can’t lose them.